Thank you for poetically and beautifully marking this amazing event! 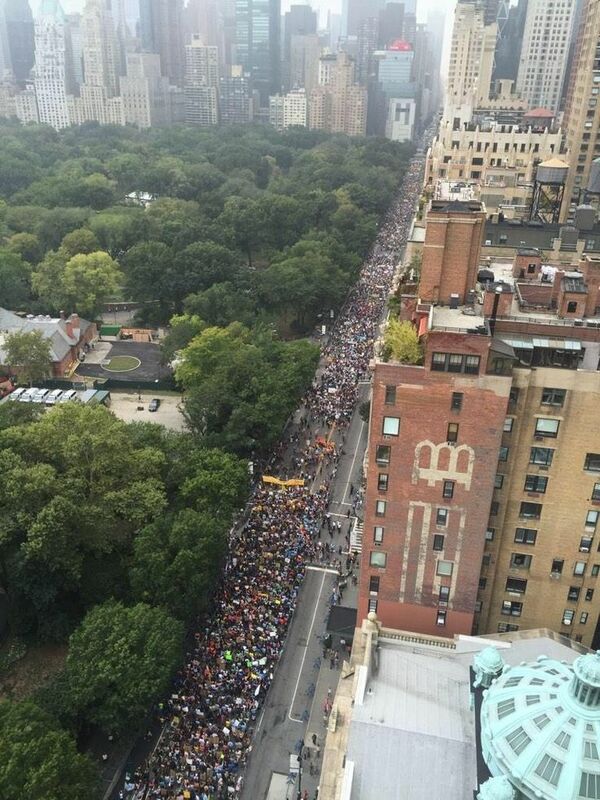 Such an important time for our planet and a much bigger turnout in NYC than even the organizers hoped. Buddhist monks and nuns, college students, brokers, working men and women, children, seniors, labor unions, Native Americans, celebrities, environmental heroes, and even the Secretary General of the United Nations put feet to pavement to commit to addressing climate change. If not now, when?